Delta Force Game Review - Download and Play Free Version! 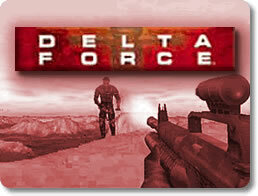 Be a Special Forces Operative in Enemy Territory and Fight Your Way to Victory in Delta Force! Do You Have What it Takes to Fight With the Elite Delta Force? In Delta Force, be a part of a tactical special forces team assigned to obtain objectives and terminate enemy bases. Rescue hostages, dodge enemies and engage in battle in Delta Force. Take on any of the five single-player campaigns around the world including: terminating a drug lord in Peru, dealing with a hostage situation in Chad, halting a biological attack by terrorists in Indonesia, battling through a civil war against insurgents in Uzbekistan, and stopping the potential launch of a nuclear warhead on the Russian island of Novaya Zemlya. and a M40A1 Sniper Rifle. But, these are just your primary weapons. In Delta Force you also are equipped with a secondary weapon (like LAWs hand-held missiles, M18 Claymores and extra ammunition), a sidearm (your options include: a HS .22 suppressed handgun or a Spec Ops .45 handgun), a deadly knife and a batch of frag grenades. Some missions even require you to utilize a laser designator to pinpoint targets for an airstrike. Hear the bullets whizzing by your head with exceptional sound effects and never get bored or repeat the same missions with 40 maps and ever-changing AI enemies. The battles are always changing because the enemy is never in the same position twice. Get up in your enemy's face from a distance with Delta Force's screen-in-screen feature that zooms up close with your guns' scopes. The Barrett .50 Cal Sniper features a 8x scope with an effective range of 1500 meters and the M40A1 Sniper features a 8x scope too with an effective range of 800 meters. Both scopes will offset from your third person view and aid you in eliminating your enemies. Unlike other first-person-shooter war games, Delta Force explains to you why you are fighting and where. The game features extensive briefings before and after your missions which give you in-depth information about your performance. Delta Force features realistic situations and environments all in the great outdoors. 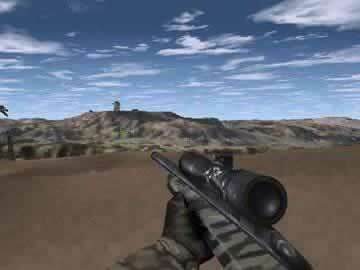 You have to snipe from mountain tops, spray enemy factions with machine gun fire, and launch RPGs across valleys. 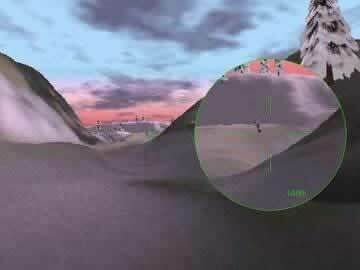 Delta Force's environments are so realistic, you can even shoot down birds and other natural obstacles. If you want a realistic, intense, and tactical first-person-shooter war game, download Delta Force! For more action, try Delta Force Black Hawk Down where you fight terrorists and warlords in Somalia. Delta Force is a tactical shooter that came out back in the late 90's and supplies some rather intense and addicting action. You take on the role of a special forces soldier and must complete missions in a variety of locations, such as fighting a drug lord in Peru, insurgents in Uzbekistan, and terrorists in Chad, Indonesia, and on the Russian island of Novaya Zemlya. There are a variety of weapons to load out your character with for each mission, such as a .50 cal sniper rifle, M40A1 sniper rifle, an M4 machine gun with an M203 grenade launcher, an MP5, or the powerful M249 SAW. What makes the combat in the different locales so interesting and intense are the wide outdoor environments full of rolling hills and plains pitted by deep canyons. This provides plenty of instances for rather exquisite long-distance duels as you try to pick off all of the enemy units before they can bring you down. The enemy AI is also quite good with soldiers reacting when one of their comrades goes down, and you had better have ample cover close at hand since they will quickly pin-point your gunfire and concentrate on your position. Also since it only takes one shot to bring characters down, being careful and a bit methodical in how you assault enemy camps is an absolute necessity. There are some differences in Delta Force in comparison to other tactical shooters and some people might find them to be detrimental. For instance, you don't really have much control over the mission planning other than your own character's weapon load out and there isn't much in the way of control over your fire team or other allies. Also, the way points tend to lead you straight into the heat of battle, which while allowing for some rather intense situations you probably will find yourself ignoring them entirely if you want to survive. This causes some problems in that other allied fire teams may not move forward until you reach a certain way point. Finally, the graphics are a bit dated in comparison to more modern titles, but this is a very small issue in comparison to the fun and addicting gameplay. Overall, Delta Force provides great shooting action with a good variety to missions that keeps things fresh. While there may be a few slight issues, these can be easily overcome and the gameplay itself is so addicting and enjoyable that you'll quickly forget about them. With a rather lengthy single-player campaign, which allows you to take on the different mission in any order, and some incredibly fun multiplayer, there are hours of gameplay to be found with Delta Force. If some of the problems mentioned above are making you cautious, give the demo a try and you're sure to be hooked with only a few minutes of gameplay.